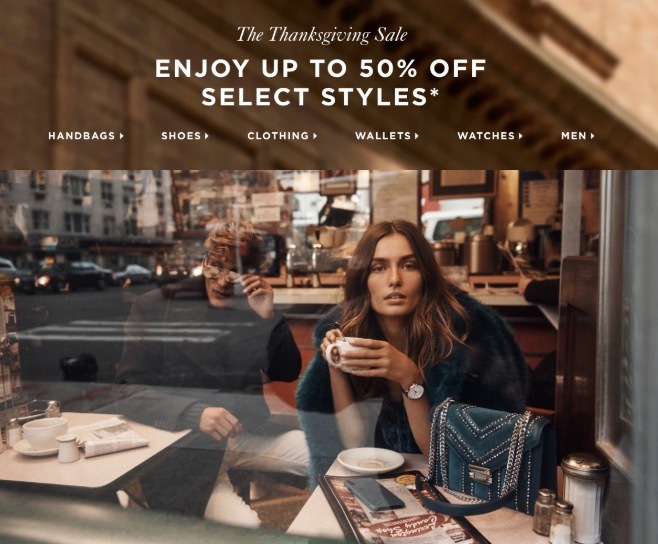 Michael Kors Canada has a great Thanksgiving sale available now, where you can save up to 50% off select styles handbags, watches, clothes, wallets and more. Prices as marked. Michael Kors offers FREE shipping on all orders of $99 or more. Click here to begin shopping at Michael Kors Canada.